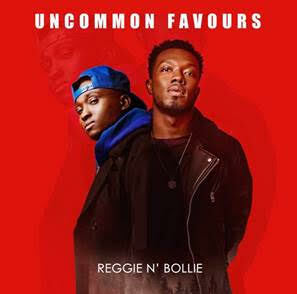 Debut album from Reggie n Bollie out now! 2015 X Factor favourites Reggie n Bollie have come a long way since being mentored by Cheryl on the ITV show. After signing with Simon Cowell on his label Syco Music in January 2016 the pair released their smash hit, "NEW GIRL" which peaked at no.5 in the UK iTunes Charts, and number 26 in the Official UK Charts. The guys had another, more authentic, musical journey in mind. Since confirming their split with Syco Music earlier this year Reggie ‘N’ Bollie have not looked back. Confidently and independently they set about creating their very own record label F.R.O.D Music, releasing tracks like "THIS IS THE LIFE”" which saw the duo make a bold move and immersing themselves in their roots of Raggae/Dancehall and more urban sound with soca undertones. A serious step forward! Since then the guys have had a series of independent hit singles under their belt which all form their debut masterpiece ‘Uncommon Favours’. This was their dream and they are very proud indeed their hard work and diligence has come to fruition. “DREAMS: is a very special song to us because we recorded this song even before we went on X Factor. On this song we tell the story of a little girl with big dreams but is afraid and drowning in sorrows, so we encourage her not to give up because dreams do actually come true.